Ladies, it is time to make something special just for ourselves! 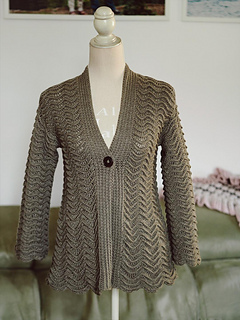 This cardigan is almost seamless - you will need to make only shoulder seams. It is very slightly flared, with kimono style sleeves. 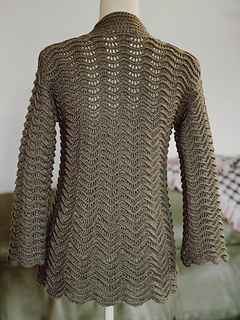 Sleeves can be made in any length. For your convenience there are step by step description and many photos. You can always contact me if you have any problems with the pattern. Price is for the PATTERN only, not the finished product. 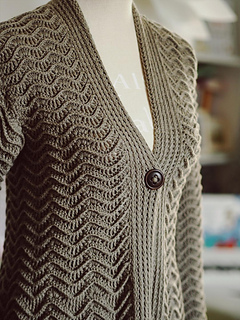 YOU CANNOT RESELL MY PATTERN BUT YOU CAN SELL THE FINISHED ITEM IF YOU LIKE.